Hiking in Japan: A Kumano Kodo Pilgrimage Easy Guide - A World to Travel. People so readily associate Japan with futuristic megacities (namely Tokyo) that it’s easy to forget much of the country is uninhabited. Even those who do understand that vast number of natural activities Japan offers tend to stick to the same few regions, and the same few pursuits, be it skiing in Hokkaido, trekking in the Japanese Alps or scuba diving in Okinawa. 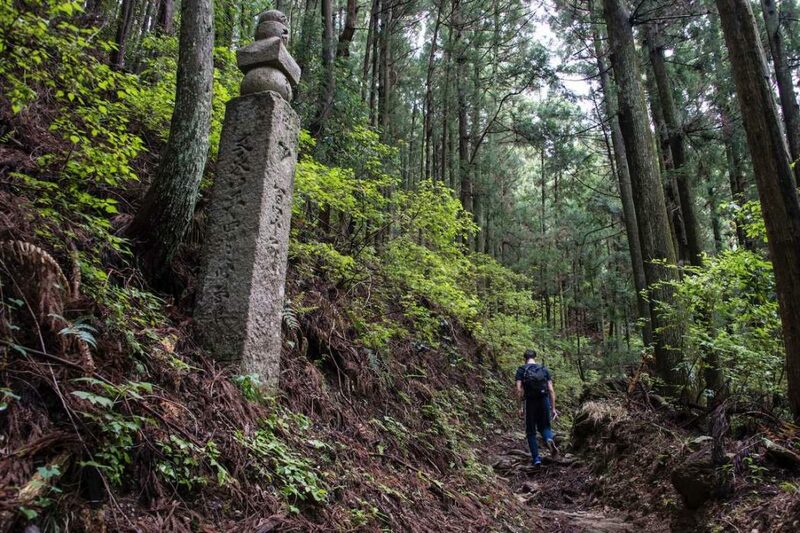 The Kumano Kodo pilgrimage route isn’t as popular as the ski slopes of Niseko or the crystalline waters of the erstwhile Ryukyu Kingdom but has a hidden advantage. In spite of being home to some of the most magical scenery in Japan, it sits only a couple hours from Osaka. The Kumano Kodo is not only a complete departure from today’s Japan but a convenient one as well. Is Koyasan Part of the Kumano Kodo? 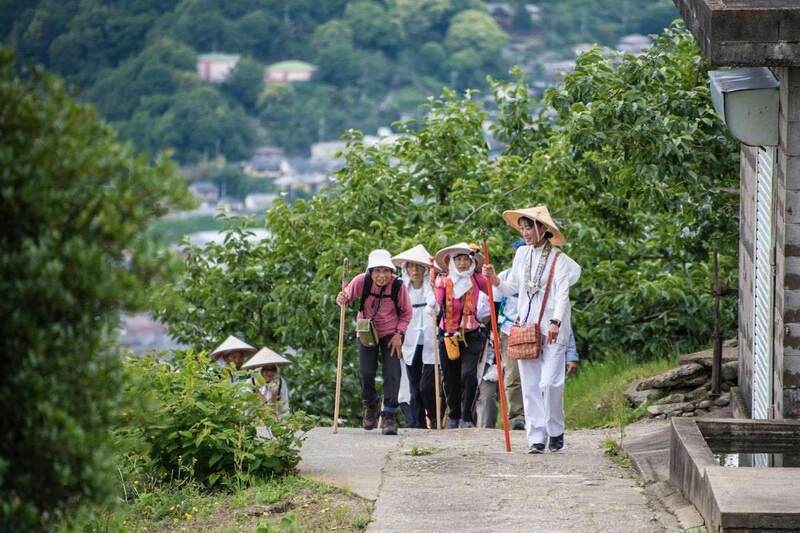 Located on the Kii Peninsula Wakayama prefecture around 100 km from Osaka, the Kumano Kodo is a series of ancient pilgrimage routes that have become popular among hikers from Japan – and all over the world – in modern times. 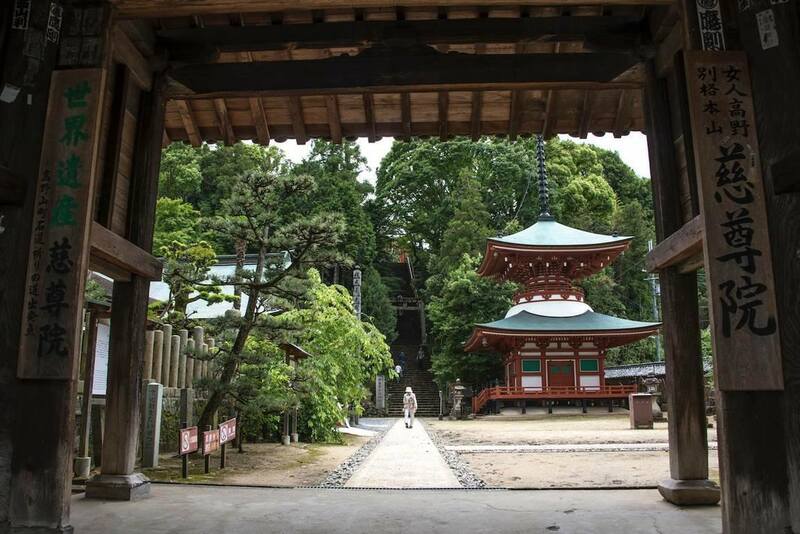 The three main shrines of the Kumano Kodo, which led to the network of trails being inscribed as a UNESCO World Heritage Site in 2004, date back more than 1000 years. The most recognizable of the three Kumano Kodo shrines, Nachi Taisha is colloquially known as the “Waterfall Temple” due to the waterfall that towers behind it. Although the site itself was venerated during the 6th century, it’s unclear precisely when the vermillion Seigantoji pagoda (the shrine’s most recognizable lobe) was first built. The main building of Hongu Taisha, a wooden marvel that is one of the most important shrines in all of Japan, is relatively impressive in its own right. Due to the flooding in the late 19th century, Hongu Taisha has actually sat at a site about a kilometer away from where it was venerated a millennium before. At that site, you’ll find Oyu No Hara, the world’s largest torii gate. Hayatama Taisha, while neither as dramatic as Nachi Taisha nor as sprawling as Hongu Taisha, is nonetheless an important stop along the Kumano Kodo. Located in Shingu city near the eastern terminus of the pilgrimage route, it is said to date back to the 12th century, in spite of its main building having recently been reconstructed. Spring and autumn are the best times to hike the Kumano Kodo—and not just because you can experience sakura cherry blossoms or see Japan’s fall colors as you hike. Anyway, many of the trees along the trail are evergreen. Which means Japan’s seasonal spectacles are not quite as dramatic along the Kumano Kodo as they are in other parts of the country. Indeed, this recommendation is mainly practical. While the Kii peninsula is relatively temperate, it can be cold and even snowy at higher altitudes during winter months. Likewise, while bonafide heat waves are rare in most of Japan, Wakayama prefecture is heavily prone to typhoons. Which means summer Kumano Kodo hikes can be very wet indeed. 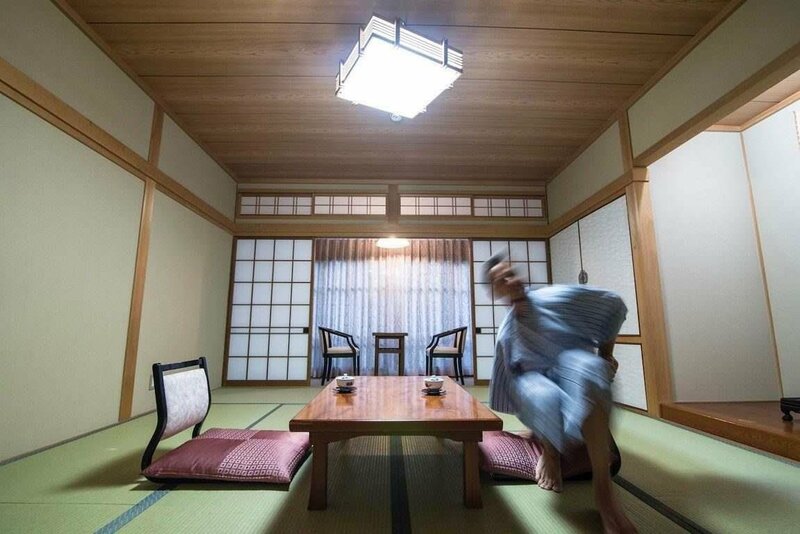 After arriving to Takijiri, hike to Takahara and sleep at the picturesque Kiro no Sato Inn. The next day, pass Oji Shrine en route to Chikatsuyu, an exhilarating 10 km journey. Day three is shorter in distance but more strenuous when taking altitude into account; you will pass Kumano Hongu Taisha en route to Hongu village. 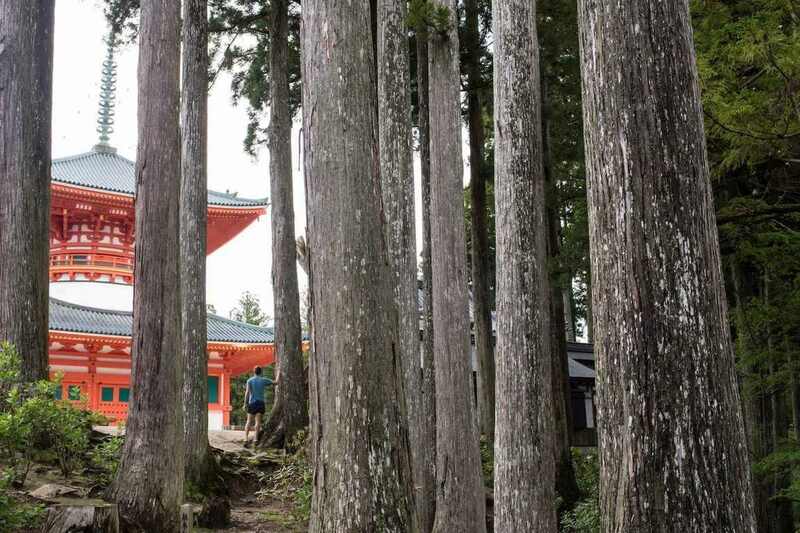 On day four, wake early and hike to Shingu, where you’ll pay your respects at Hayatama Taisha before continuing to Nachi Taisha (by bus, unless you get an extremely early start) where your Kumano Kodo adventure will end. Buses run the length of the entire Kumano Kodo. Which means you can compress the recommended four-day hike into two or three if necessary. If you have three days, begin your hike in Chikatsuyu; if you have two, get a bus all the way to Hongu when you arrive at Kii-Tanabe, and follow the above Kumano Kodo itinerary from there. Love hiking but don’t have a lot of time? You can see the three Kumano Kodo shrines as day trips, preferably from Wakayama city but also from Osaka, if you have no other choice. The next section will outline how to do this for Nachi Taisha, the most photographed place along the Kumano Kodo, in greater detail. As described above, most hikers start the Kumano Kodo at its western end, in Takijiri. In order to get here, ride one of the Kuroshio Limited Express services from Shin-Osaka station to Kii-Tanabe. The service runs several times per day and takes just over two hours. Upon arrival in Kii-Tanabe, continue on to Takijiri by bus – they depart every half hour. 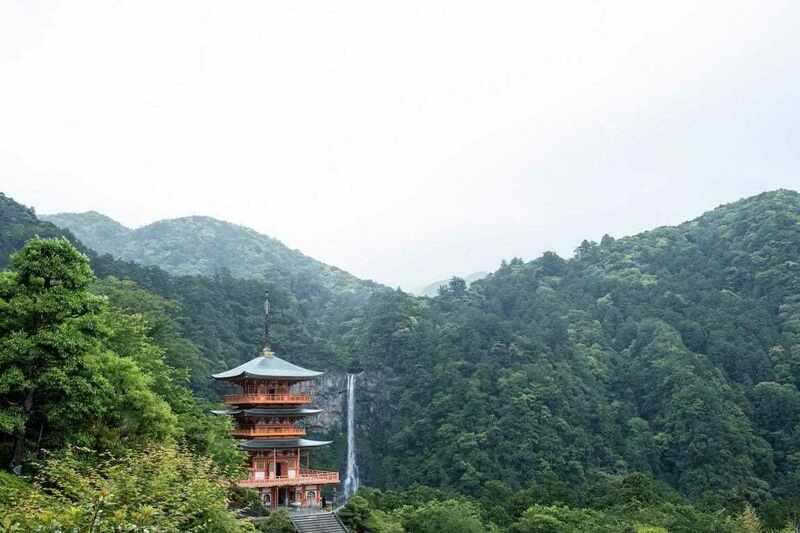 If you simply want to see the Kumano Kodo waterfall temple (aka Nachi Taisha), travel via JR lines to Nachi station, then continue to the Kumano shrine via a local bus. Or, if you don’t want to be at the mercy of Wakayama’s relatively slow and sparse (for Japan) public transport, consider renting a car in Osaka or Wakayama city. Technically, no. “Kumano” refers to the southernmost region of the Kii peninsula; Mt. Koya sits more in the center. However, Mount Koya is connected to the Kumano Kodo both geographically, via the Kohechi Route, and spiritually. The monk Kukai, who established Koyasan as a holy site in the early 9th century, was part of the same religious tradition as the founders of the Kumano Kodo shrines. Unless you are a very skilled and experienced trekker, you probably won’t travel between these two holy sites on foot. That’s because the Kohechi Route is one of the most treacherous trails in all of Japan. Due to the proximity of Mt. 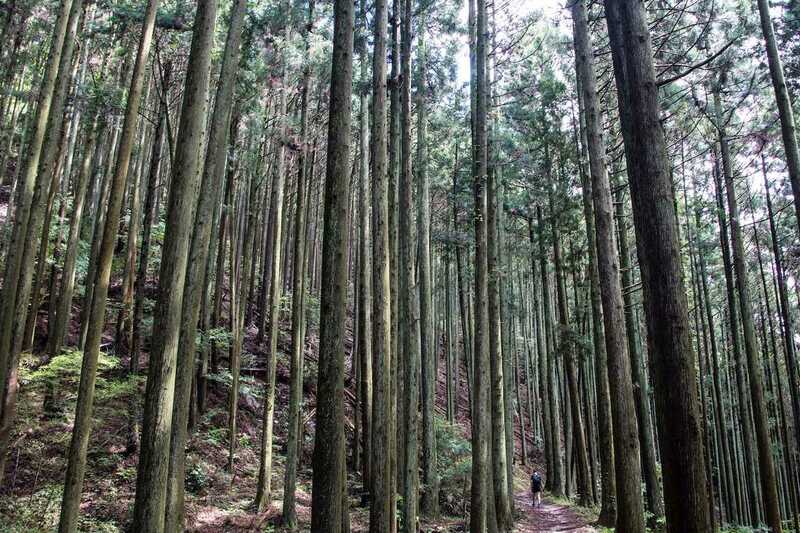 Koya to the Kumano Kodo, however, it’s conceivable that you would visit both during your hiking in Japan trip. The Kumano Kodo pilgrimage route might be obscure, but the lack of fellow tourists makes it even more magical. Whether you immerse yourself in a multi-day trek or see highlights of the Kumano Kodo in one or two days using local buses, you’ll have a hard time believing you’re just two hours from Osaka. Cap off your time in Wakayama with a visit to holy Mount Koya, or a night in underrated Wakayama city. Robert Schrader is a writer, photographer and world traveler who finally ticked Iran off his bucket list in late 2017. Visit his travel blogs 'Leave Your Daily Hell' for travel insights of a more global nature and the recently launched 'Japan Starts Here', which he hopes will inform and inspire all your trip to Japan.